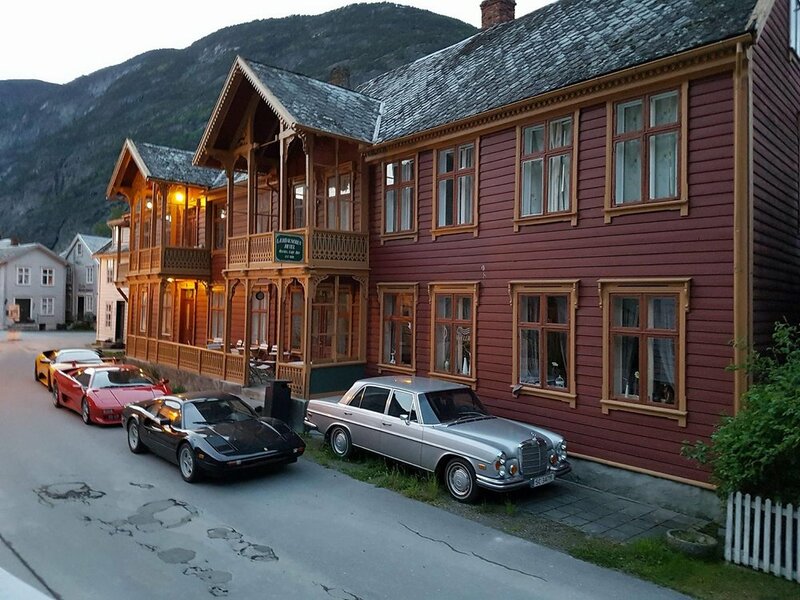 The beloved hotel in the heart of the old woodhouse town of Lærdalsøyri. It started towards the end of the 1800th century. The hotel was built around year 1880. A spectacular building built with pronounced switz craftmanship with details like woodcarved handcut fencing and ornaments with a big veranda. "It was a hotel built for british salmonlords. But in the cellar, there was a illegal pub where the local villagers also could have a drink- or two." We took the liberty of adding google translate to these links below so you can enjoy them in (translated) english! We atleast recommend using Google Translate for getting the most out of these articles. Dagsavisen (Newspaper) Travelpoints and must see while in the area! As this particular hotel is worthy of preservation is there no restrooms inside the rooms themselves. The rooms instead are in immediate proximity to freshly renovated bathrooms- like in the good old days.